The All-American Rejects are an American punk rock band from Stillwater, Oklahoma, and have been performing together since 1994. The band is made up of lead vocalist and bassist Tyson Ritter, lead guitarist and backing vocalist Nick Wheeler, rhythm guitarist and backing vocalist Mike Kennerty, and drummer Chris Gaylor. The band gained mainstream fame and success with the release of their self titled debut album, and its successor, Move Along. Move Along was one of the biggest albums of the pop punk dominated mid-2000’s, and featured the hit singles “Move Along”, “It Ends Tonight”, and “Dirty Little Secret”. “Dirty Little Secret” is perhaps the bands most well-known song, topping various charts and going Platinum. 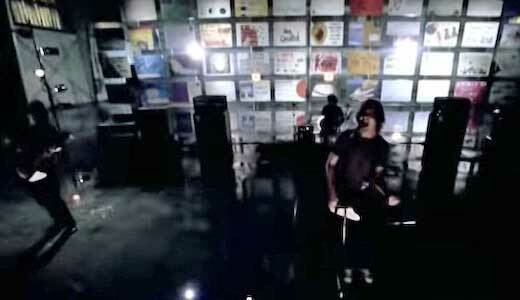 The song begins with a guitar riff that’s instantly recognizable to anyone who went through a phase in the mid-2000’s. The lyrics are about a scandalous relationship that neither can tell anyone about, while at the same time each is trying to find out more about the other. They want to get to the heart of each other’s “dirty little secrets”. This song, and the band in general, are everything people remember about pop punk music from the era, and their sound fits in with all the cliches that were around at the time. However, for fans of the genre, this song will instantly take them back to the simpler, all-black times of 2005. 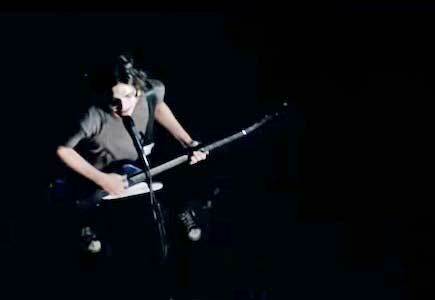 The band performs the song in a dark warehouse that is lit with strobe lights. 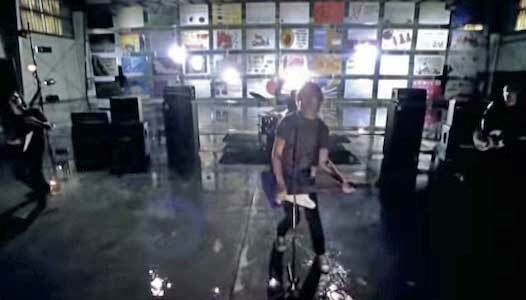 The music video begins with the band kicking in that familiar guitar riff, playing in what appears to be an empty warehouse. This is where the band spends the entire video, surrounded by pulsating lights that create a very mysterious atmosphere in the completely black warehouse. We see that lead singer Tyson Ritter is wearing black chucks with an all black ensemble, which fits right in with the completely black setting. These shots of the band are intercut with shots of people holding up cards that share their dirty little secrets. Some of these are innocent while others are much more salacious. All of the people are hiding their faces with their cards, and these cards end up appearing behind the band midway through the video. The video highlights the idea that everyone has something they’re hiding, and that whether it’s a big secret or a small one, it helps to let it out every once in a while. The postcards that contain everyone’s “dirty little secrets” are revealed behind the band. Use the links below to get a new pair of chucks you can wear to reveal your secrets.